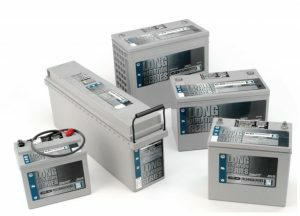 C&D TEL Series Long Duration VRLA batteries are designed to provide standby power to critical applications in the Telecom industry. The TEL series batteries have undergone extensive life cycle testing, including SR4228 compliance, to ensure the longest and most reliable service life possible. With a range of capacities from 30 to 125 ampere hours and many installation options including relay racks, cabinets and more, the TEL Long Duration series is suited to a variety of applications within the Telecommunications industry.